Helicharter has been established for nearly thirty years, in that time it has remained in the same ownership and always Kent based. The company of today is a very different one to that of all those years ago. 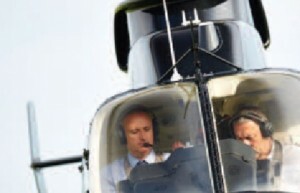 In the beginning Helicharter owned one Bell 206 Jet Ranger had no approvals and very few staff. Over the following years Helicharter gained an AOC on the Bell 206 model, moved into a 15,000 square foot hangar, gained a 145 approval and also pilot training from PPL to CPL. 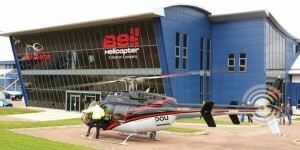 The biggest changes came in 2014 when the company was awarded the Independent Retailer for Bell helicopters for the UK region, this role is to promote Bell helicopters in the region and to sell the Bell product in the UK. This change resulted in the company moving into a Purpose-built facility just over 60,000 square feet, to present one of the best helicopter facilities in the UK. The facility has lit helipads, 24hr service maintenance and operations, fuel installation, 145 base and line maintenance, sales staff, Part M sub part G support and a stock holding of Bell parts. 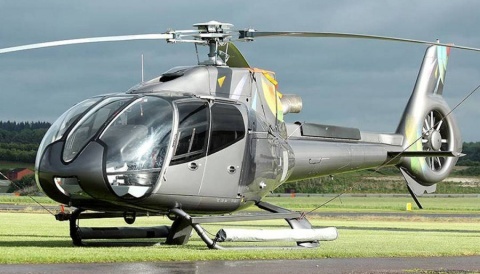 Helicharter have 145 approval on the following aircraft: R22, R44, Bell 206, Bell 206L, Bell 407, A109, Bell 429, AS355 FAA A and P.
Helicharter is also the home to Airwolf, a Bell 222 painted in the colours of the iconic 1980’s helicopter. She does not do public transport but is certainly a great flag-waver and always attracts a great deal of attention! Helicharter also supply three Bell 206 Jet Rangers to the National Grid pipe line inspection contract and we have held this contract for the last three years, these aircraft are also maintained out of the Turweston facility. 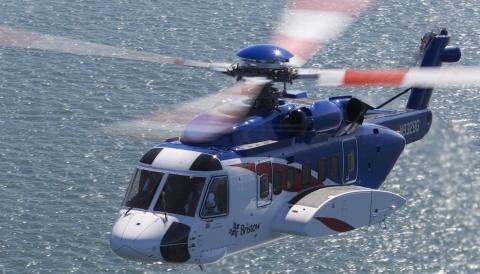 In 2013 the company was also awarded Customer Service Facility status from Bell Helicopter, to further offer our customers an in-house solution when buying a new aircraft. This allows us to take care of the helicopter and the customer from import, delivery to the customer and all future maintenance, warranty and parts required. 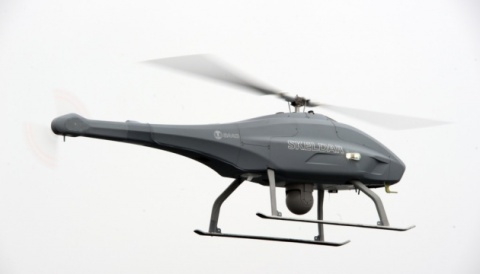 The company established a second base at Turweston Aerodrome in 2013, with its primary function to support National Grid in the operation of its Bell 429, which is used for overhead power line inspection. The facility is a base and line maintenance station and mirrors that of Manston in terms of approvals. It is situated in a fully renovated hangar and has a dedicated engineering team. In 2014 Helicharter were granted the contract with the Wiltshire Air Ambulance Charitable Trust for the replacement of their existing MD902 platform that was shared with the Police, to a dedicated HEMS platform. Helicharter purchased a 429 from Bell and delivered the aircraft into service in January 2015 HEMS equipped. The 429 is operated under the AOC of Helicharter and is based out of the WAACT base in Devizes. Helicharter have gained approval on the base as a 145 line and base station, to enable us to carry out all maintenance tasks on the 429 without the aircraft having to leave base. 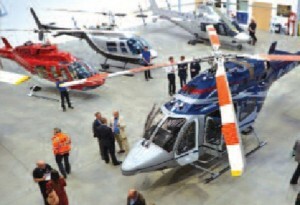 Sales are still very strong and Helicharter have been very involved in the launch of the new Bell 505 Jet ranger X, with pre-orders closing in on 30 in the UK and close to 400 globally. The first European 505 will be coming to Helicharter as a demonstrator and we are very excited about being able to show the aircraft off. There are now three flight test aircraft flying in Canada and we hope for certification in the very near future. Pilot training on the 505 will be carried out at our base in Manston.